Whatever the outcome today, it's bad for House Republican leadership in general and for Paul Ryan specifically. Outcome 1: Trump cuts a deal with Freedom Caucus leader Mark Meadows, effectively hijacking the floor and the policy agency. Trump will have learned that if he wants to get anything done, he needs to deal directly with these guys. Meadows will have proven that he can keep his ultra-conservative caucus, which many expected to crack up now that Trump is president, together under the pressure. Option 2: Trump can't cut a deal with the Freedom Caucus and the bill fails. This is also terrible for leadership. 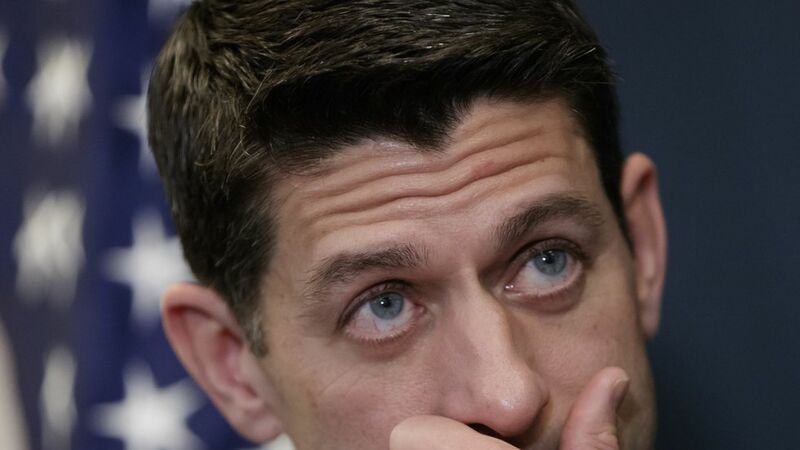 It would show that Ryan oversees a truly ungovernable conference. Also consider: No matter the outcome of today, Breitbart will go thermonuclear against Ryan. The website's biggest goal, shared by a number of members of the Freedom Caucus, is to remove the Speaker. Watch for that campaign to ramp up as soon as next week.